Choosing wedding flowers could be overwhelming; but I’m here to help you as much as I can with my professional, responsive and creative 5-step approach. First things first, let’s sit down and get to know each other. We’ll chat about the plans for your wedding day or event so far – and ideas for how flowers can enhance your occasion. It’s all about finding out your likes and your style and the vision for your big day. I’m a big fan of tea (earl grey with soya milk) and cake (gluten free) and making our chat as relaxed and fun as possible. After we’ve met, I’ll share some initial ideas based on our chat. This can include those favourite flowers or creative elements we talked about. I can put together some initial sketches or a mood board so you have an idea of what’s possible. Following payment of a deposit, I’ll secure your date in my diary and the more detailed discussions can begin. As we chat more, together we will refine the details of each arrangement that will be created for you. 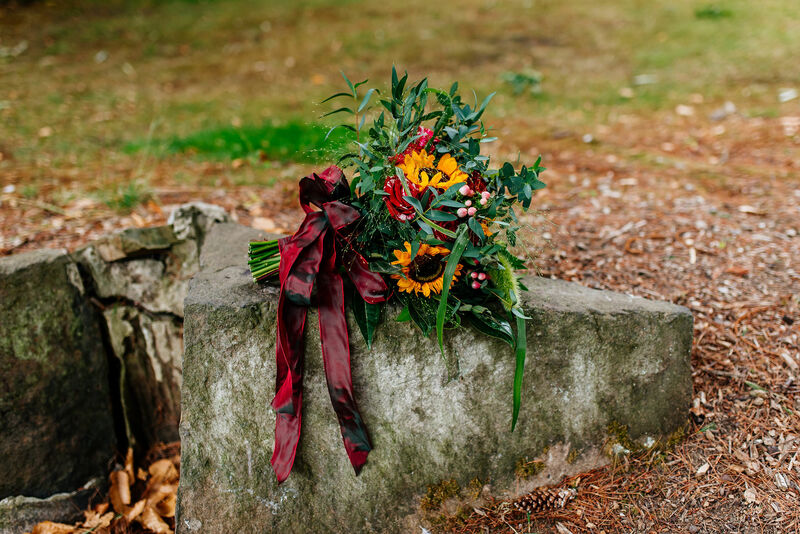 We can visit your chosen venue(s) so you’ll see how the flowers will work in each location and position. Once you’re happy with the designs, I’ll talk to my network of suppliers. I’ll source the flowers, foliage and any accessories to create your chosen designs. I love going to the flower market, so here I personally select your flowers and ensure they’re in top condition for your big day. I’ll ensure that myself and my team arrive bright and early to bring our designs to life in your venue(s). I’ll also personally deliver your bouquets and buttonholes for a magical reveal! We’ll only leave the venue when we’re confident every last detail has been taken care of to ensure that we wow you and your guests. My professional approach means that I respond to each and every query I receive. So fill in my contact form or drop me an email via [email protected] and let’s get the flower chat started! I’m so looking forward to hearing from you!